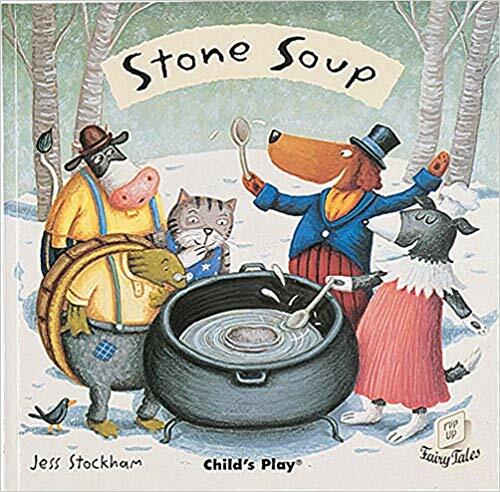 listening to music, reading words, and making soup. I could happily live on soup… and the silence as I dish it out and everyone tucks in. But I love to eat non-stone soup. 🙂 I make soup often–soup and bread. I might just take you up on this advice. I am a big eater of soup, Beth. It fills me up in many ways. Love the graphic and love soup. A winner all the way around. My goodness, that exactly how we spent yesterday, making a steaming crockpot of chicken wild-rice soup. Love what we call Soup Season. Nothing like putting on a pot in the morning, smelling it all day, and eating half and saving half for dinner. One of my favorite things about fall is the start of “Soup Season” … my wife and I love to make one of our favorites at least once a week, and we are always on the hunt for new recipes to add to our collection. Loved the graphic and the quote … thanks!